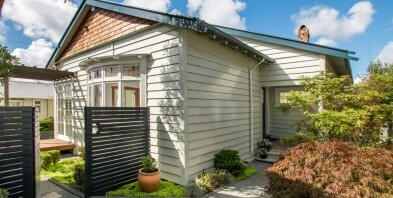 Immaculately preserved and enhanced for modern Grey Lynn living, 36 Sefton comes to market for the first time in over 30 years. You could be excused for thinking that city fringe properties of this size and calibre do not exist anymore... but very occasionally they do. Having been under the same ownership for well over 3 decades, it is a very rare and valuable find in this day and age. Elevated and incredibly sunny, the 845m2 site in central Grey Lynn boasts a solid and spacious character home, expansive lawn and huge double garage. Clearly, this property provides huge amounts of enjoyment and upside, with room to stretch out and relax, plus an incredible elevated outlook across to the west and south of the city. Tucked away at near the end of a quiet no exit street, yet moments away from all of the wonderful parks, cafes and buzz that Grey Lynn is famous for. This is almost a 'once in a lifetime' opportunity to buy on this size and scale so talk to us today.